"Letters" recognized by Americans for the Arts! 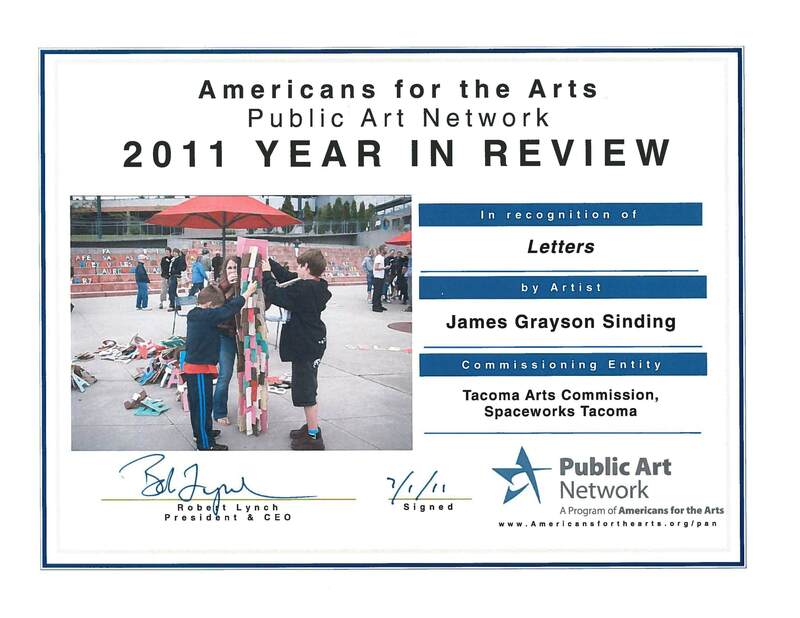 We are so excited to announce that James Grayson Sinding’s Letters was recognized by the Americans For the Arts 2011 Public Art Network (PAN) Year in Review! Each year, hundreds of projects from across the country are submitted for review, and up to 50 are selected as examples of outstanding public art projects. All submissions go through a selective review process. This year a record 430 project submissions were received and only 47 projects were selected. A full list of projects and more information about Year in Review can be found at www.PublicArtNetwork.org. Congratulations James, this is quite an honor!